Something about the door made me want to stop and stare. White against white, windows on either side, white grills, saloon doors with shimmery white glass in front of the main door. 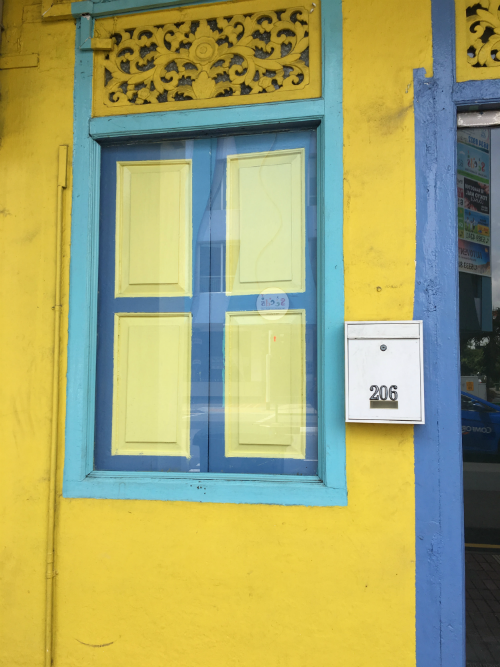 It was a shophouse in Katong, a Pernakan neighbourhood in Singapore. 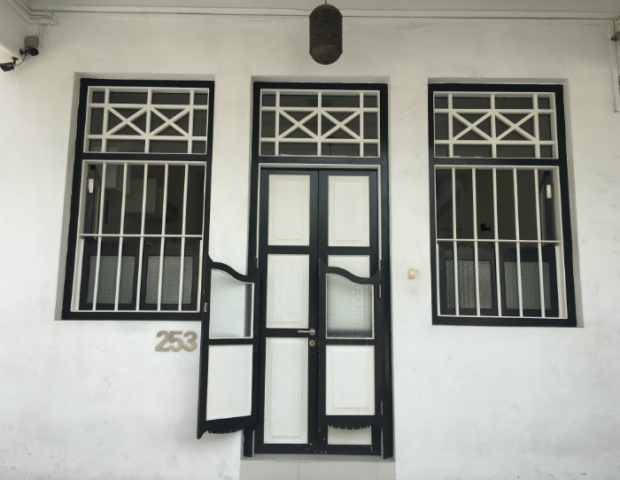 the Straits-born Chinese community has an eye for ornamentation that’s unique and doesn’t fear complication or fine craftsmanship. The houses all around are from a while ago, and looks like no one’s in a hurry to change everything and get straight line, concrete and glass structures in place of these laid back, quaint rows. The door looked calm and confident, it didn’t care that the whole world had changed, it was happy to be itself, not spiffy and modern. Just itself. I took several shots with my iPhone, but couldn’t manage a great one. The glass on the saloon door was pretty and translucent, it wanted you to peer through it, see what’s on the other side. The windows watched you but not forbiddingly. Usually, the glass is stained, somehow the white made everything feel dreamy. Some day, I thought, i must find out about Peranakan shophouses and why they have the air they have.